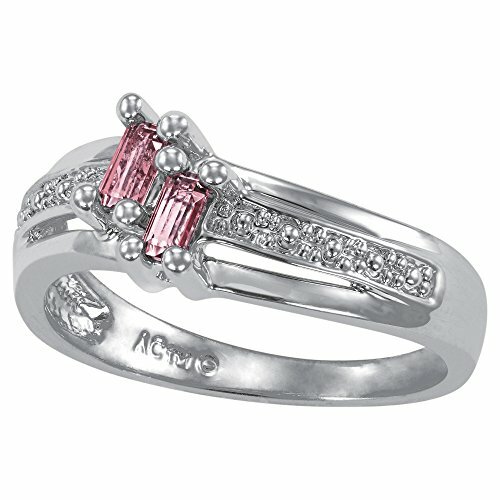 ArtCarved Love Moments Simulated Rose Zircon October Birthstone Ring, Sterling Silver, Size 9 by ArtCarved at Fdccla. MPN: LQBELOV-SS-S-10-9. Hurry! Limited time offer. Offer valid only while supplies last. Two offset 4mm x 2mm baguette-cut gemstones grace the center of the ArtCarved Love Moments ring, adding timeless class to your jewelry collection. 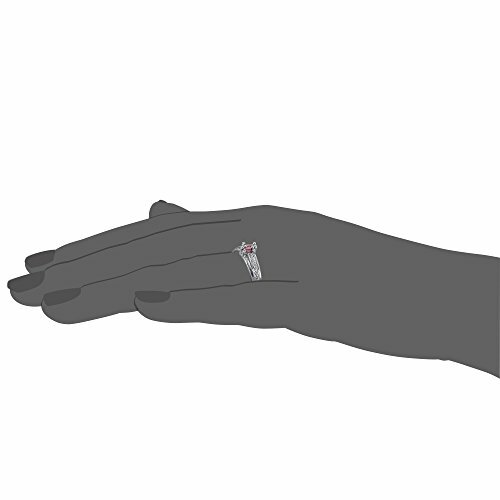 Two offset 4mm x 2mm baguette-cut gemstones grace the center of the ArtCarved Love Moments ring, adding timeless class to your jewelry collection. 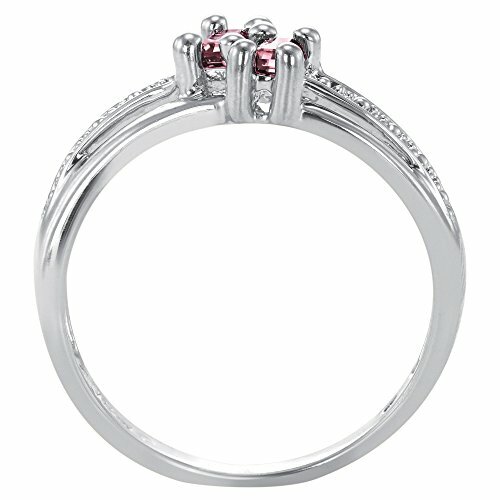 Rose Zircon, one of October's birthstones, symbolizes honor and peace with its tastefully pink color. 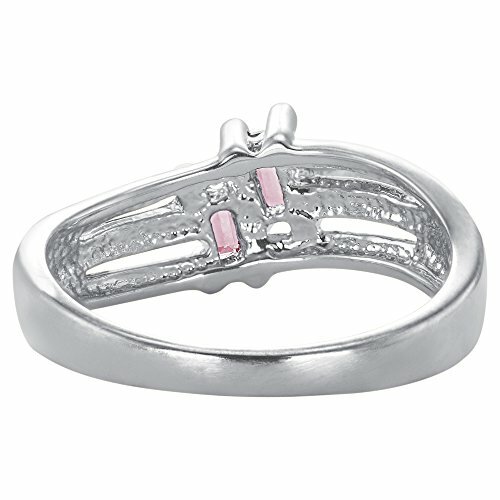 The setting is made of durable, precious sterling silver you can wear every day without hesitation. ArtCarved's simulated gemstones are made in Switzerland via the flame fusion process, resulting in flawless clarity, reflectivity, and color, as well as excellent durability. These simulated stones are created sustainably and ethically with natural materials. This timeless ring is a perfect birthday gift, promise ring, valentine's gift, or holiday gift to celebrate a special woman in your life. Two offset 4mm x 2mm baguette-cut gemstones grace the center of the ArtCarved Love Moments ring, adding timeless class to your jewelry collection. 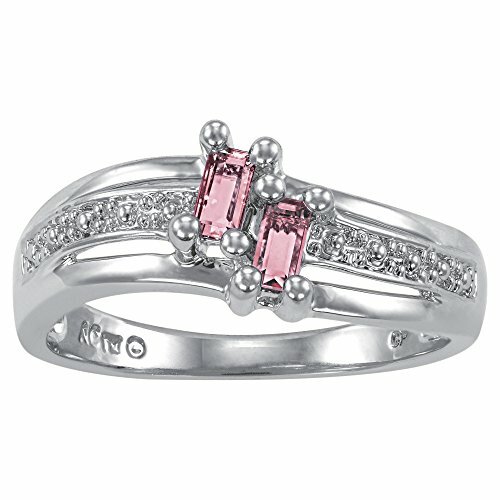 Rose Zircon, one of October's birthstones, symbolizes honor and peace with its tastefully pink color. 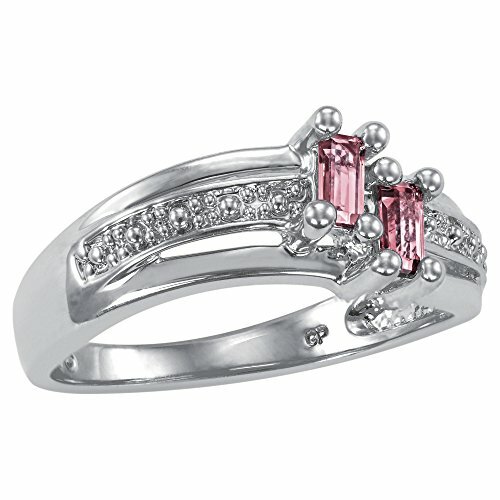 The setting is made of durable, precious sterling silver you can wear every day without hesitation. ArtCarved's simulated gemstones are made in Switzerland via the flame fusion process, resulting in flawless clarity, reflectivity, and color, as well as excellent durability. These simulated stones are created sustainably and ethically with natural materials. This timeless ring is a perfect birthday gift, promise ring, valentine's gift, or holiday gift to celebrate a special woman in your life. If you have any questions about this product by ArtCarved, contact us by completing and submitting the form below. If you are looking for a specif part number, please include it with your message.